"We say that in the context of the Euphrates Shield operation we cooperate with all parties fighting against Islamic State. Now that relations with Russia have normalized, we have an efficient mechanism of information exchange on all topics. Chiefs of Staff hold regular talks," he said in an interview with Turkey’s 24 Canali TV. In his words, such "cooperation is beneficial." "It is useful to always be in touch to avoid possible problems [on the military character - TASS]. It is a basic duty for all to exchange data in the context of anti-terrorist efforts. We may have controversy with Russia, for instance, on Aleppo, but we must continue dialogue," he said, adding that Ankara is exchanging data on the situation in Syria with other countries as well, including with member nations of the international coalition and with Gulf countries. 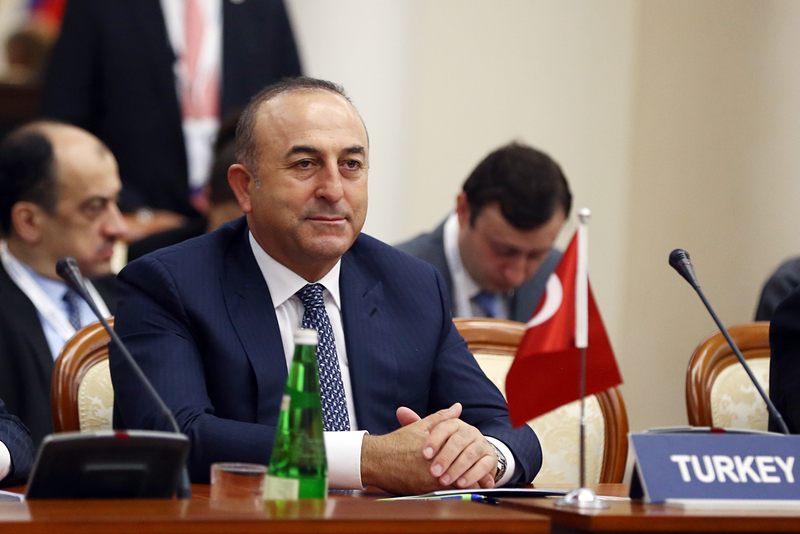 Touching on the anti-Islamic State operation in Iraq, Cavusoglu said that in case of threats to his country Turkey will use all its possibilities to neutralize them, including a ground operation. "If the situation in Iraq threatens our security, we will use our international rights and all possibilities we have, including a land operation. We will neutralize this threat as we are doing it in Syria where Islamic State threats have brought us to the limit of our endurance," he said.